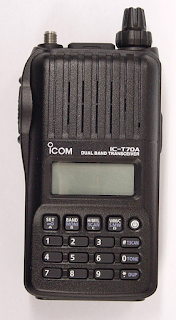 The TC-70A/E dualband portable from Icom. You can read the brochure here with lots of information. No batterypack on this one, just good old-fashioned batteries. At least they are NiMH rechargeable batteries. The new Yaesu FTM-350 mobile dual-band tranceiver. 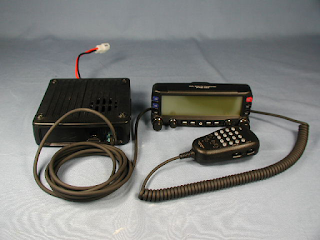 Besides being able to transmit on 144 Mhz. 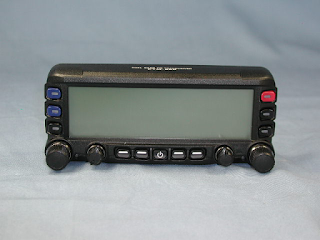 and 430 Mhz. it also does 220 Mhz. and receives from 500 Khz. 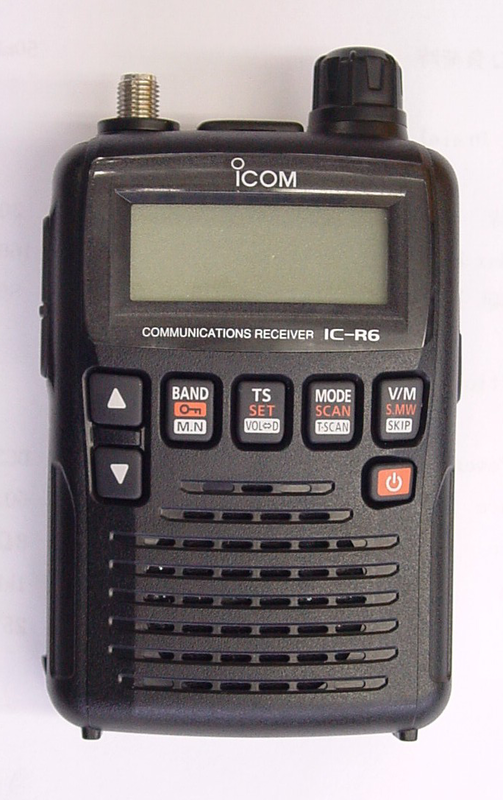 to 1000 Mhz. with some gaps. This radio has a build-in APRS TNC, and an optional GPS receiver. And ton of other features.